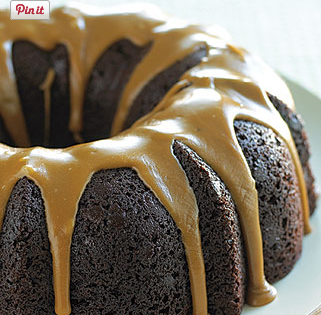 " Cherry Dr. Pepper Chocolate Bundt Cake" you'll get a toothache just looking at. What a delicious treat! 1/4 cup cold Cherry Dr. Pepper to make a a thin glaze. Mix Cherry Dr. Pepper, oil and pudding together with a mixer until creamy and fluffy. Add cherries mix for 1 minute at low speed.